There's no one more excited for the start of the fifth season of Mad Men beginning TONIGHT, Sunday March 25th. Like everyone else, I've been reviewing past episodes so I'll remember the story lines where we left off more than a year ago. 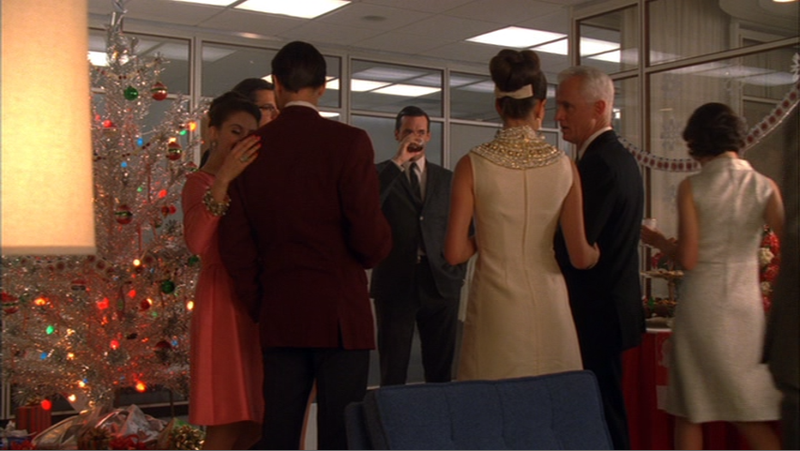 A great story is the second episode of season 4, "Christmas Comes But Once A Year." 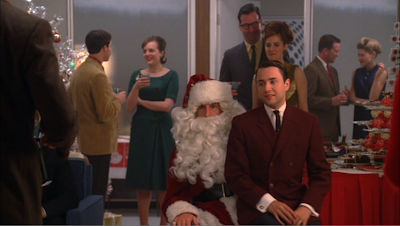 It’s Christmas 1964 and the ad firm of Sterling Cooper Draper Pryce are worried about their financial future. They plan for a small, low budget office party. Embracing sobriety, Freddy returns to the ad firm bringing with him a $2 million dollar client. Upset and frustrated, Peggy tells Freddy his ideas are old-fashioned (and sexist). 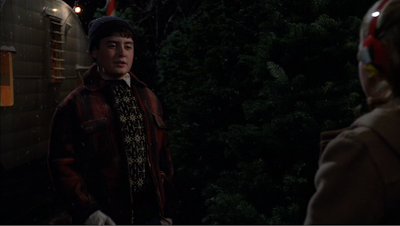 Young Sally Draper renews her friendship with the creepy neighbor, Glen Bishop. The troubled Glen eventually breaks into the Francis home and vandalizes it by emptying the refrigerator’s contents onto kitchen counter tops and making a mess throughout the house. 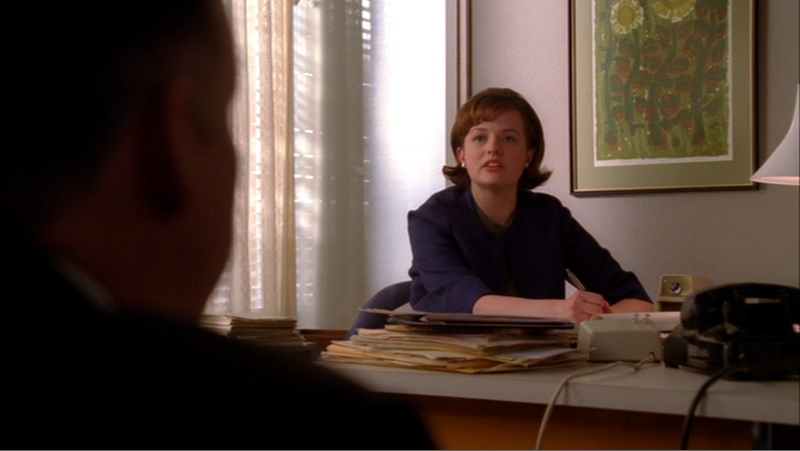 Don Draper walks out on a pitch meeting held by Faye Miller, a psychologist with a consumer research company looking to sell her know-how to the Madison Avenue ad firm. 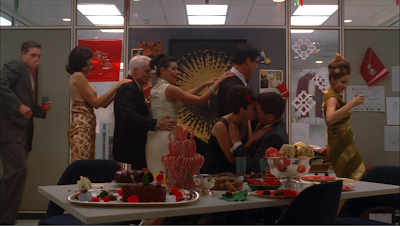 This episode’s main story line is the office Christmas party that suddenly becomes a large scale blow-out when their major client, Lucky Strike’s Lee Garner Jr., insists on attending. 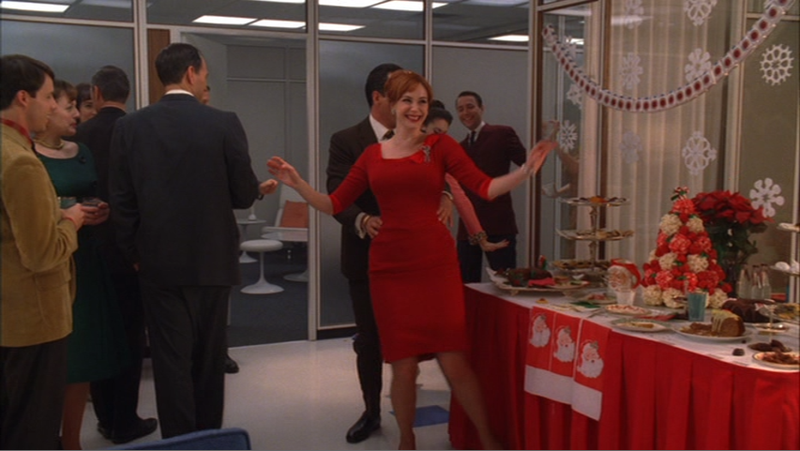 With dancing, drinking, party games, and the office manager Joan in a bombshell red dress to impress, the party comes off as successful in an attempt to impress Garner that the ad firm is more financially sound than they feel. 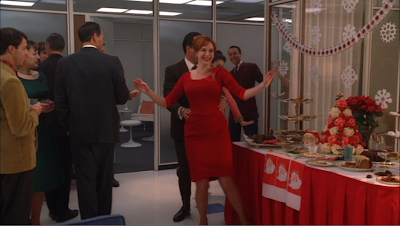 Joanie leads the dancing--LOVE that dress! Campbell sitting on Roger's lap for photos. Lucky Strikes client, Lee Garner Jr. humiliates Roger by making him don a Santa suit for photos with the staff during the party. After the blowout, Draper seduces his secretary, making the office environment uncomfortable the following day. This yuletide episode originally aired in August 2010. If you'd like to watch it again, it is located on the first disc of the 4th season DVD set. Remember the vintage Christmas song that plays over the ending? It's Teresa Brewer's version of "I Saw Mommy Kissing Santa Claus." The following Mad Men episode, "The Good News," continues the story line with Don Draper's plan to spend the holidays in Acapulco. SPOILER: Don doesn't go to Acapulco. This video has the audio recording of Teresa Brewer's "I Saw Mommy Kissing Santa Claus." I love the fashion, style and 1960s cultural references of Mad Men. 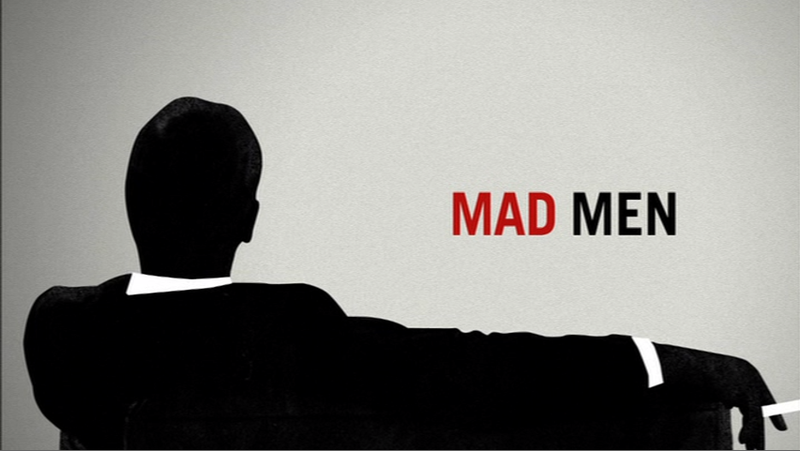 But I guess what I love about the show is the bleak attitude and watching Don Draper's life slowly unravel. 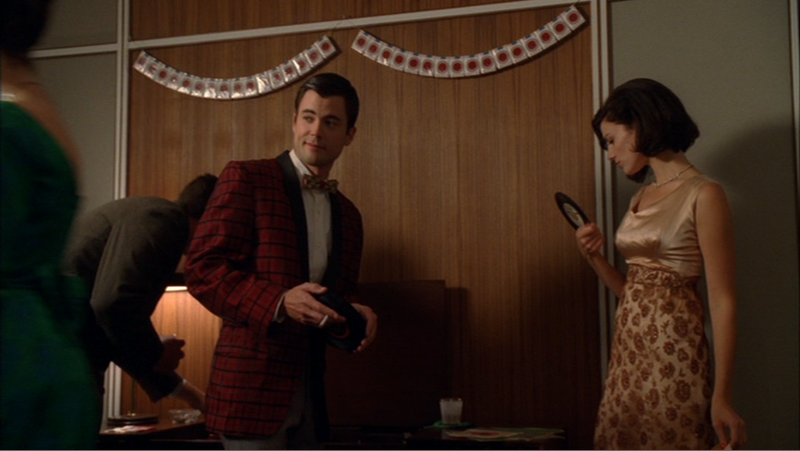 Are you a fan of Mad Men? What did you like about last season's Christmas episode? I took a little Spring Break but now I'm back. 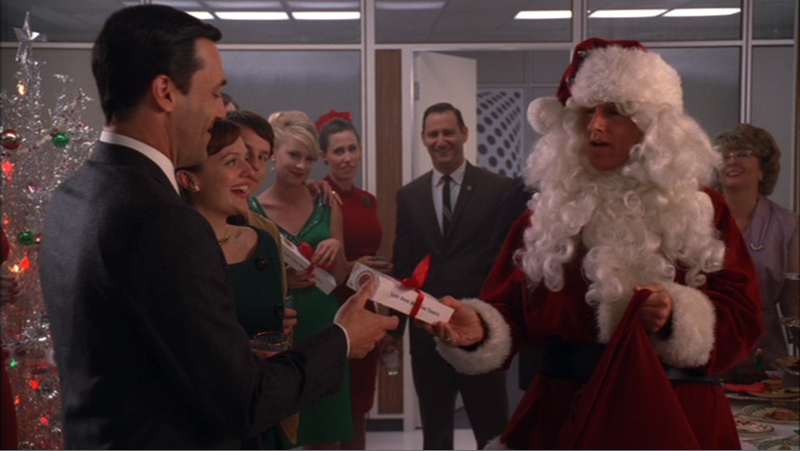 One of the things I like about Christmas on TV is that it airs year round. 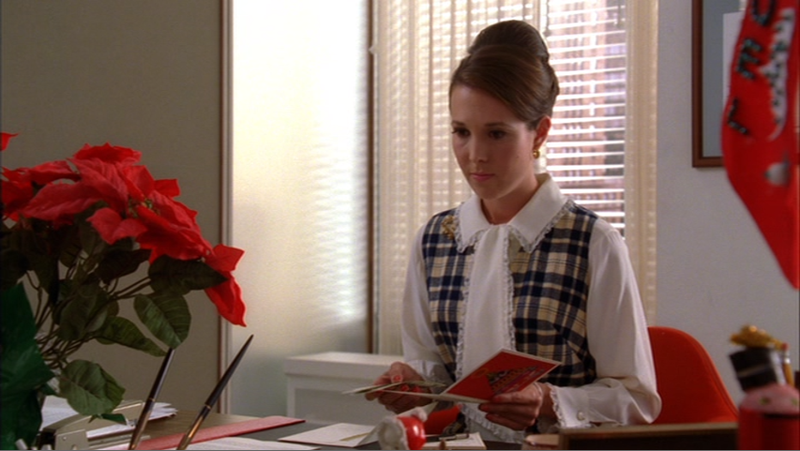 Though yuletide story lines may take place during December, the holiday spirit is around throughout the entire year in re-runs. If you don't already know, I post the best of the daily Christmas TV listings on Twitter (@TistheSeasonTV) and on Facebook in the fan page for my encyclopedia book, Tis the Season TV. Follow me there if you'd like to receive those daily updates. Friends hasn't been off the air since its debut in 1994, currently running on Nick@Nite. 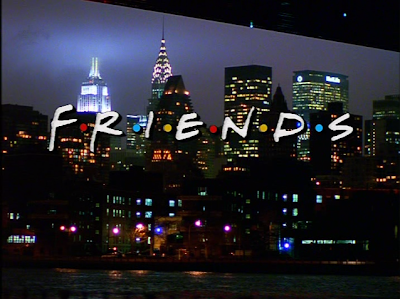 The comedy series about a group of six friends living in New York City offered several holiday episodes. Last July, I hosted guest blogger Amy who wrote about the 1999 New Year's episode "The One With the Routine." Click here to see that again. 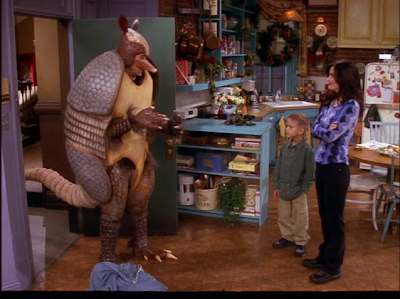 Perhaps my favorite holiday episode of Friends is "The One With the Holiday Armadillo" from 2000. The episode includes several story lines. One story thread concerns itself with Chandler trying to learn how and when to tip Maitre D's in order to get the best seating in restaurants. Another story line is about Phoebe encouraging Rachel to join her as her roommate now that the apartment re-model is completed. 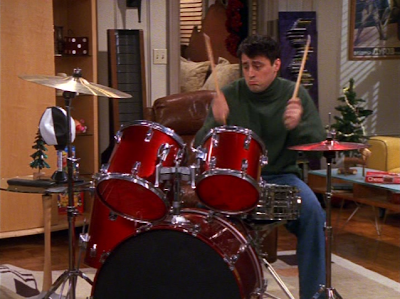 Phoebe gives Joey a drum set to encourage Rachel to leave Joey and join her in their old apartment as roommates. 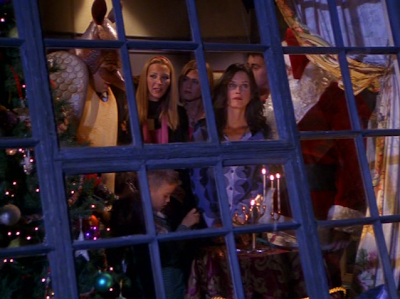 But the main plot is about Ross wanting to include Hanukkah in his son Ben's holiday celebrations. Ross is excited to teach his young son Ben about the traditions of their Jewish heritage, unfortunately Ben doesn't want to hear it. 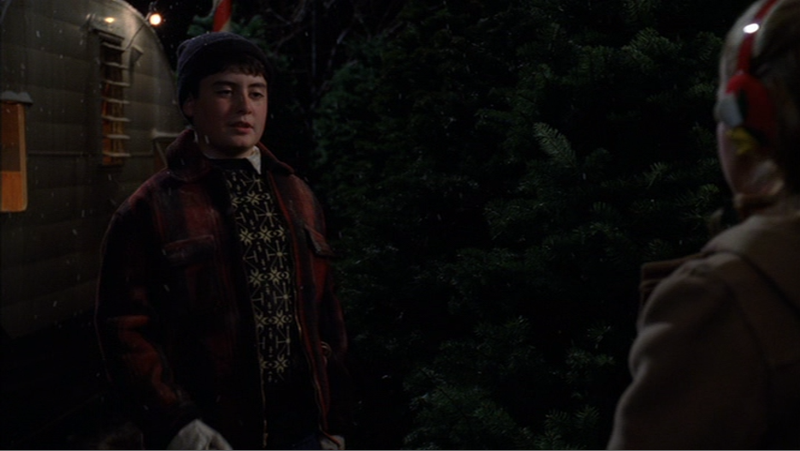 Ross considers dressing as Santa Claus in order to lend credibility to his attempts to talk to Ben about the holidays. 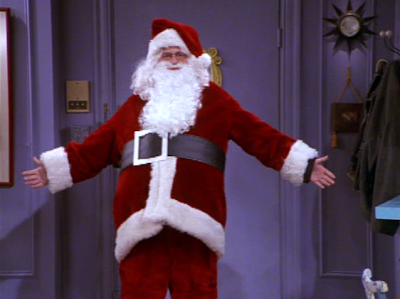 However, Ross can't find a Santa costume at the rental store so close to Christmas time. ...and Joey arrives dressed as Superman leaving Ben too distracted to listen to his father’s message. 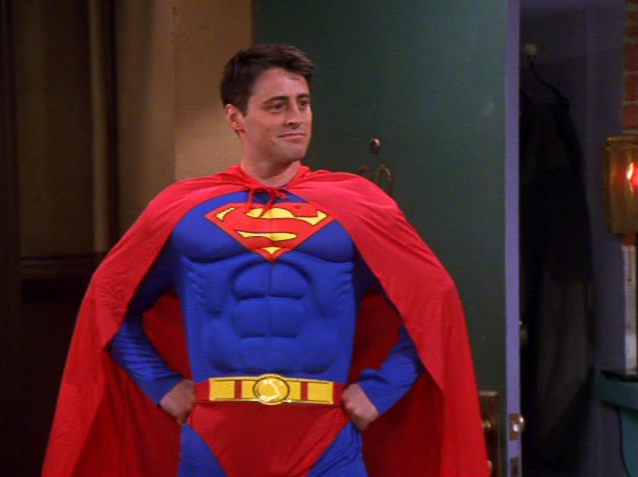 It's a bird, it's a plane...it's Joey! However, with Santa Claus and Superman's acceptance, Ben finally opens up to listening to his father's explanation of the meaning behind the traditions of Hanukkah. We've all seen this episode, right? Do you recognize the song that briefly plays as the friends light the menorah? It's "Tradition" from the musical Fiddler on the Roof. 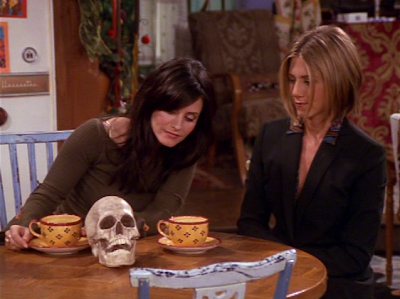 If you'd like to see it again, this episode is located on disc 26 of the DVD box set Friends: The Complete Series. It is also the Season 7, episode 10 (disc 2) of the earlier DVD release. Do you celebrate more than one holiday tradition in December? Do you have another Hanukkah episode that you look forward to watching each year?